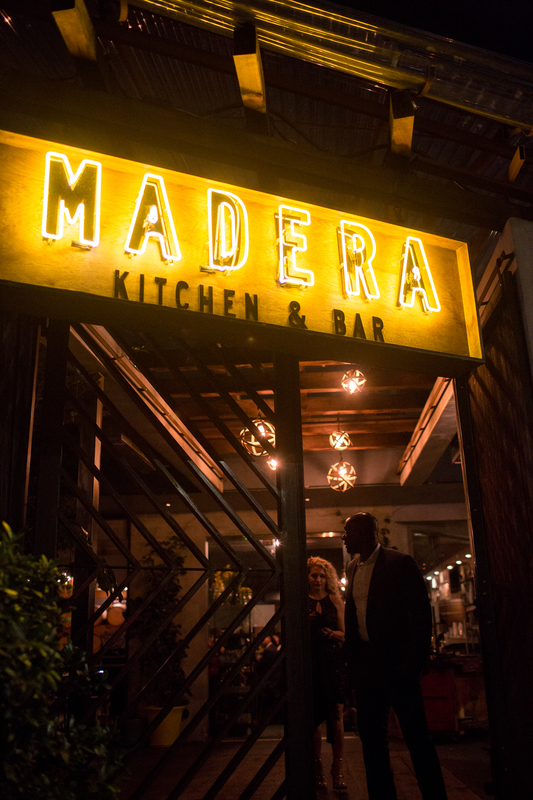 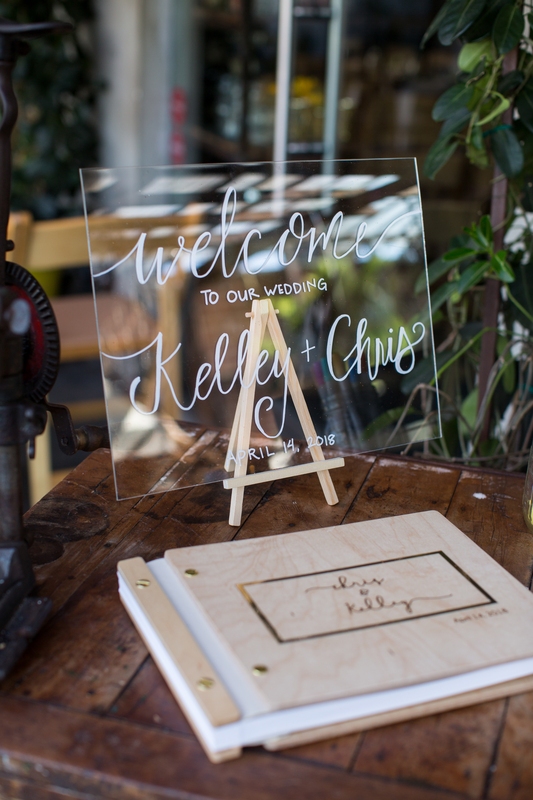 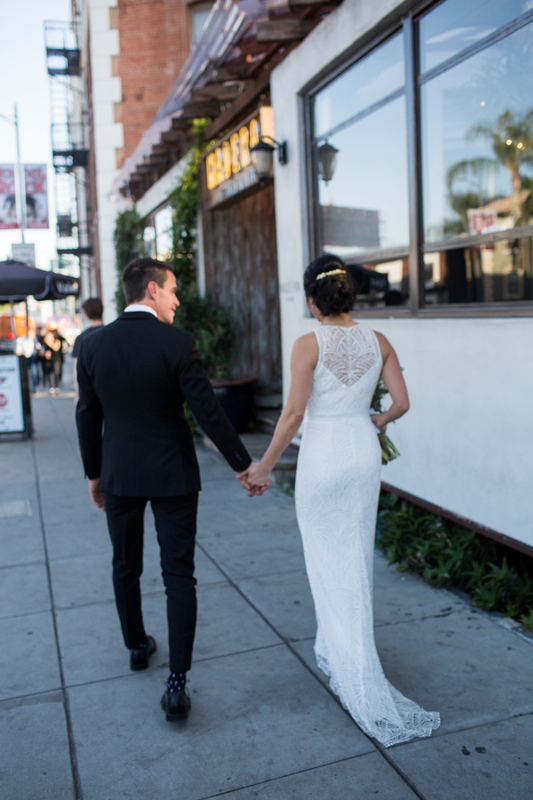 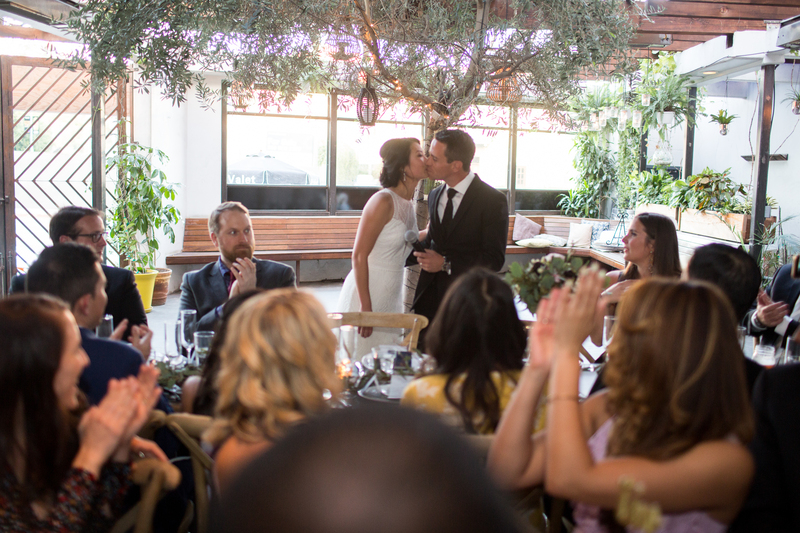 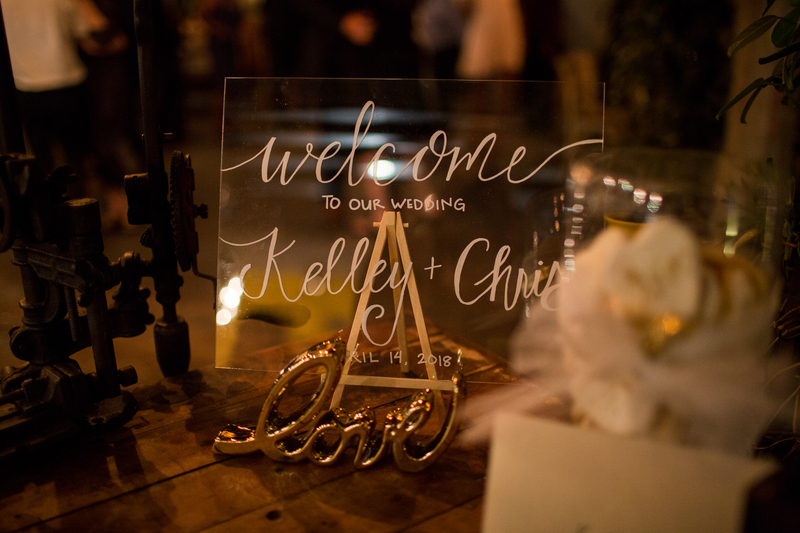 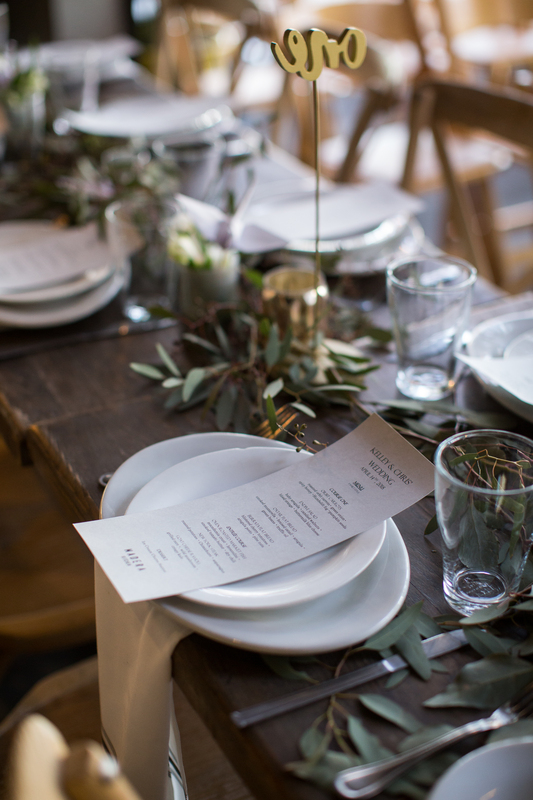 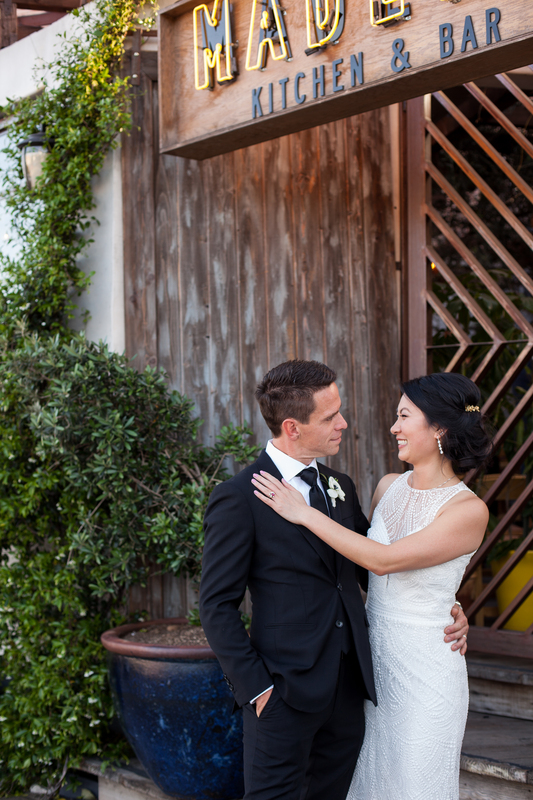 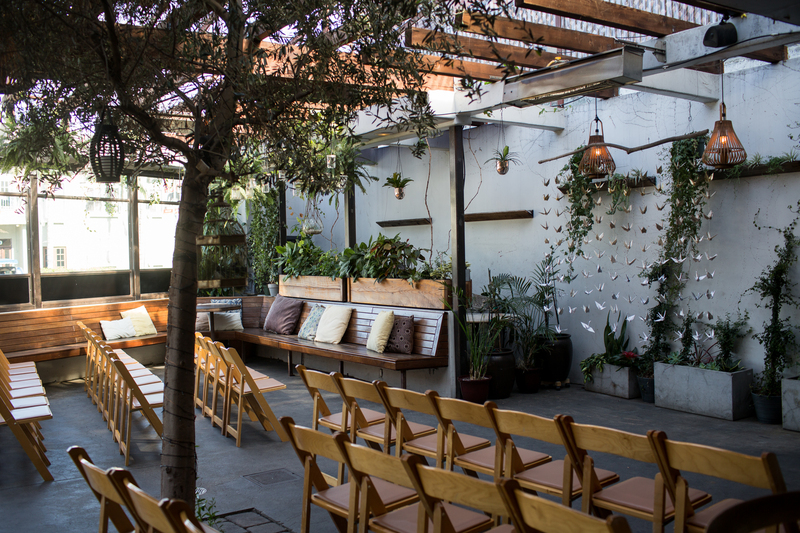 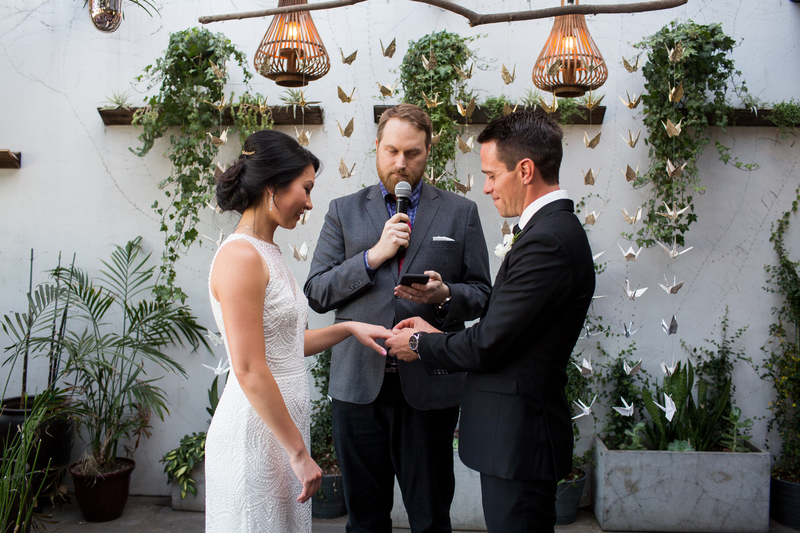 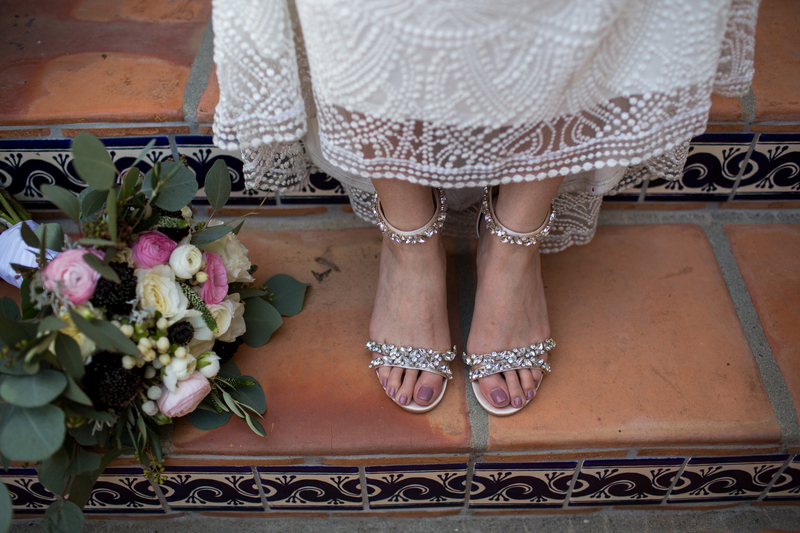 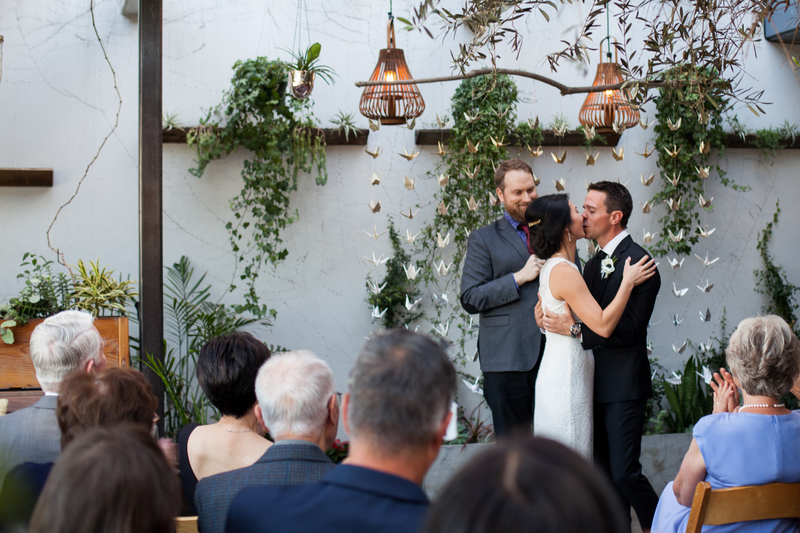 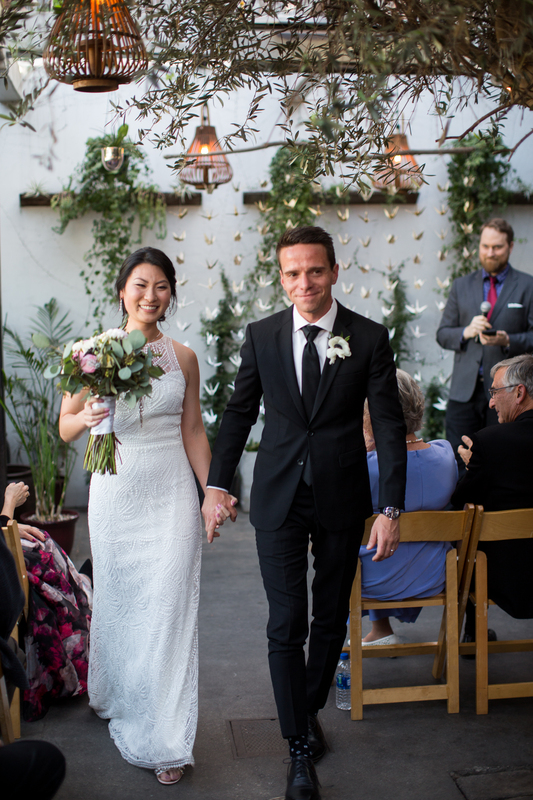 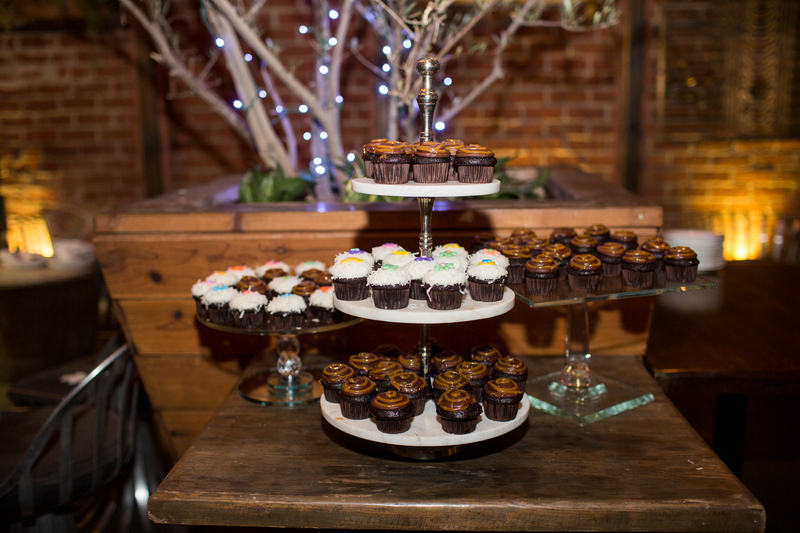 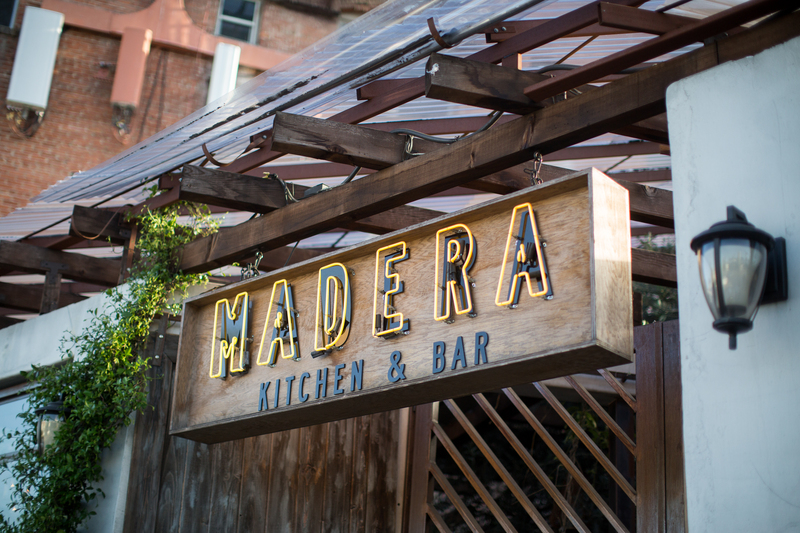 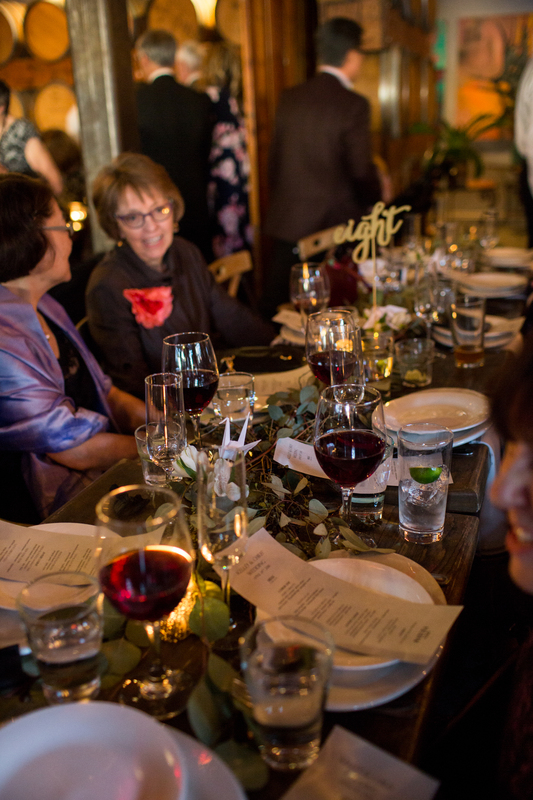 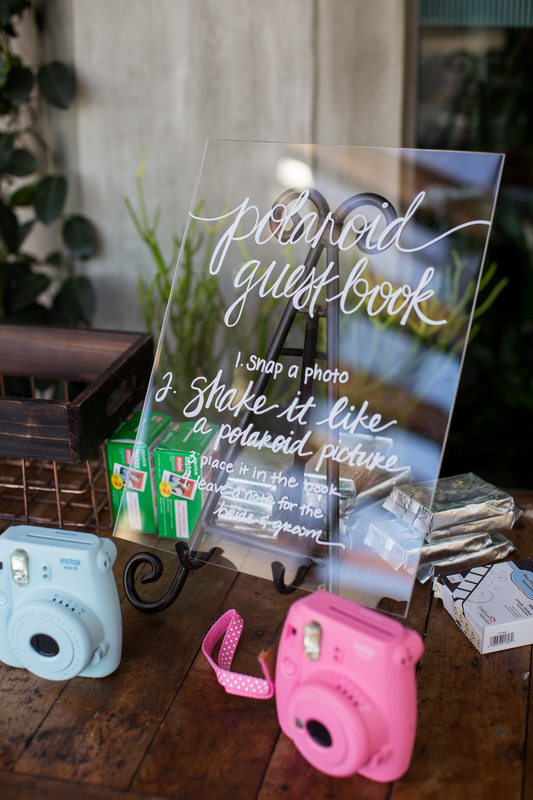 Kelley and Chris were wed at Madera Kitchen in Los Angeles on April 14, 2018 in a tasteful ceremony. 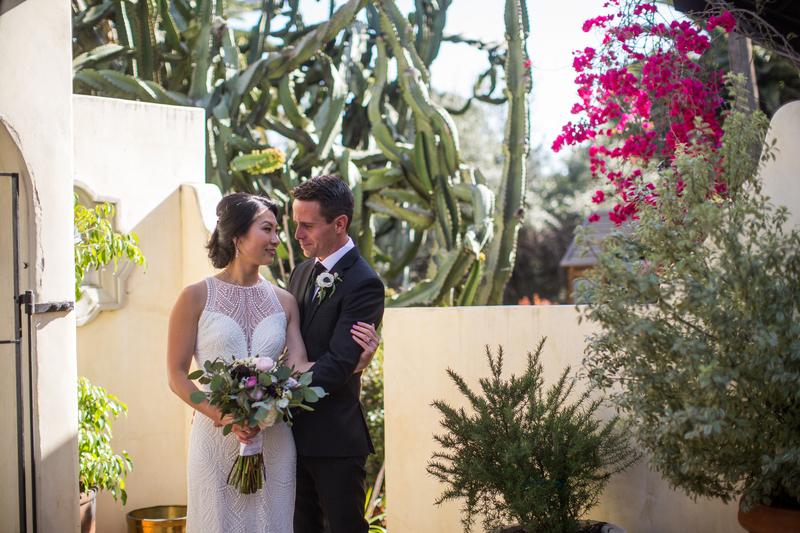 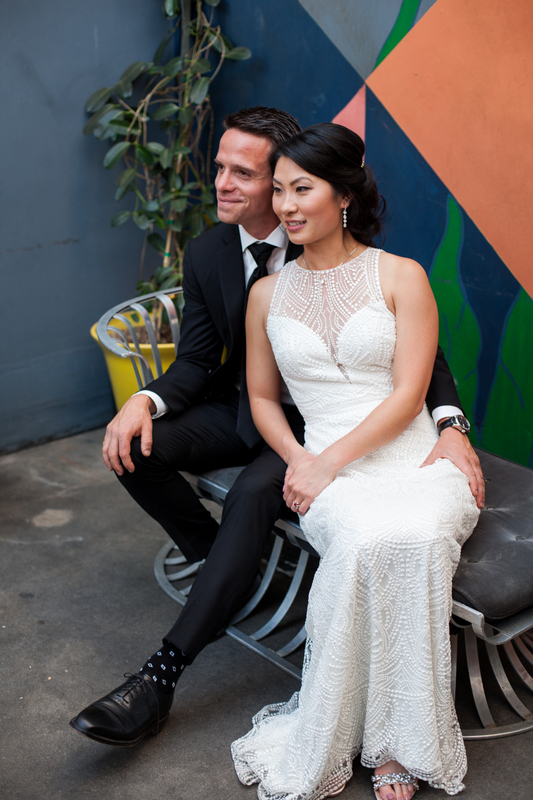 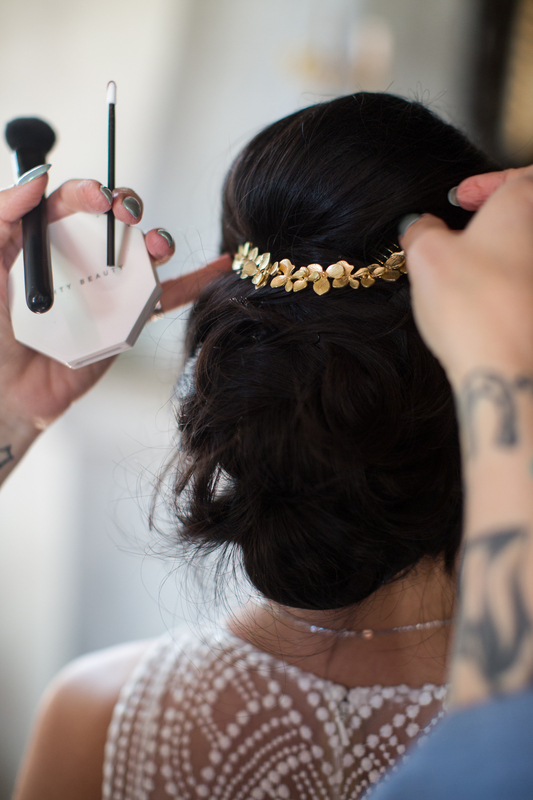 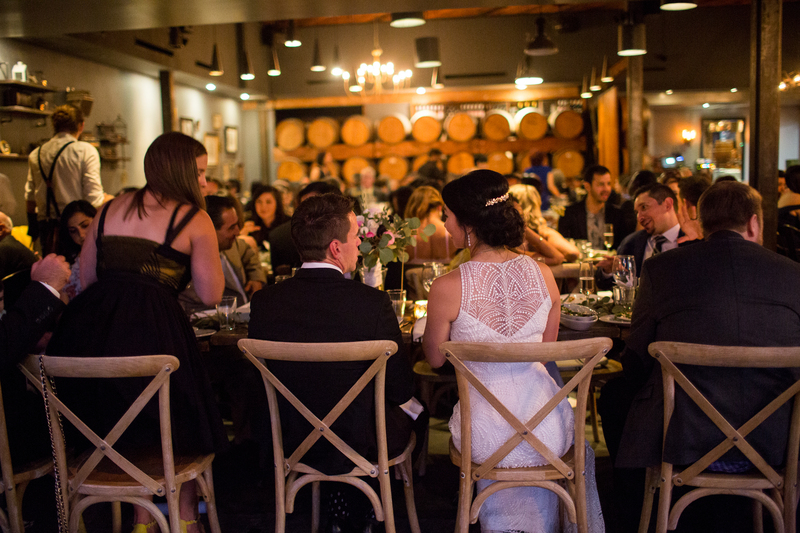 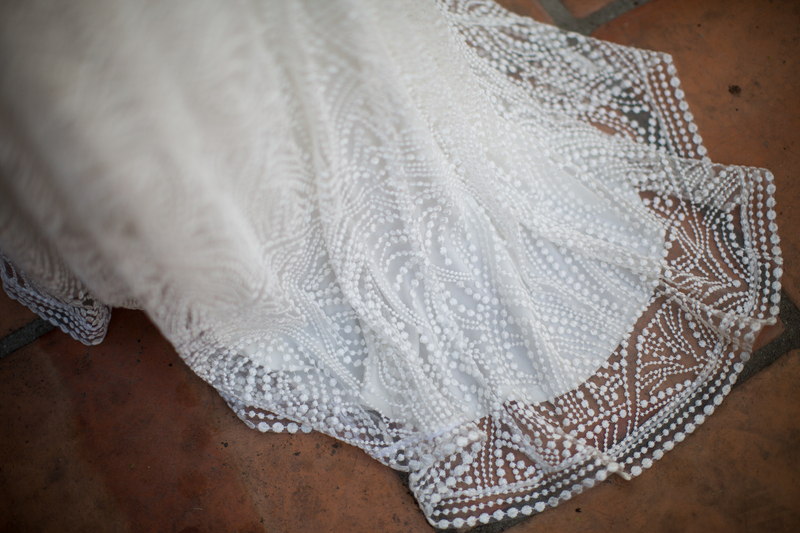 The bride’s dress was an elegant strapless gown with a lace overlay that created a vintage, ethereal vibe. 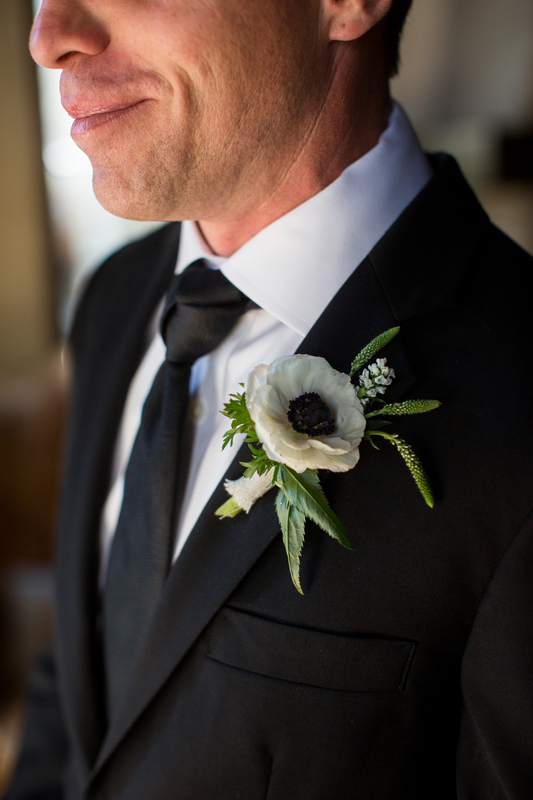 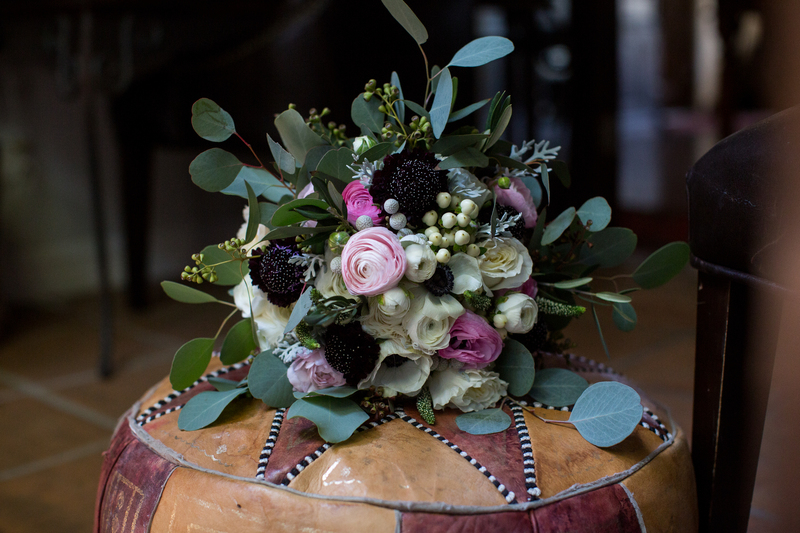 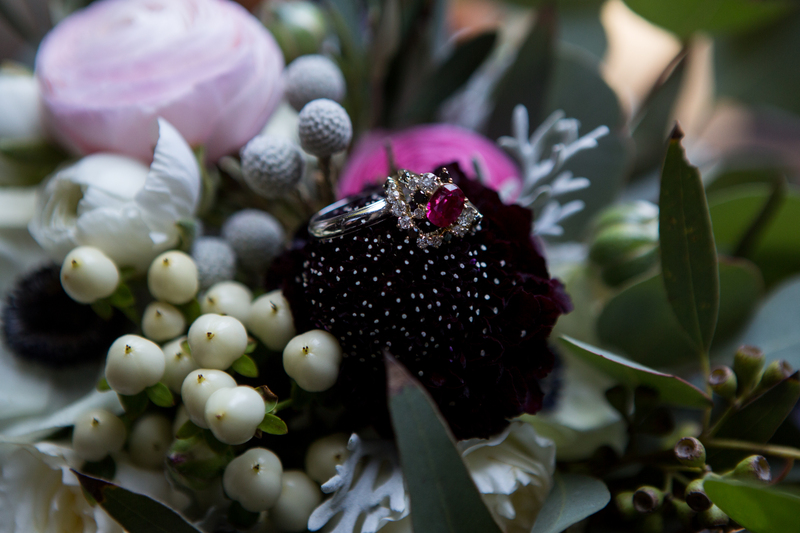 The dark purples in the bride’s bouquet added a striking pop of color to the look. 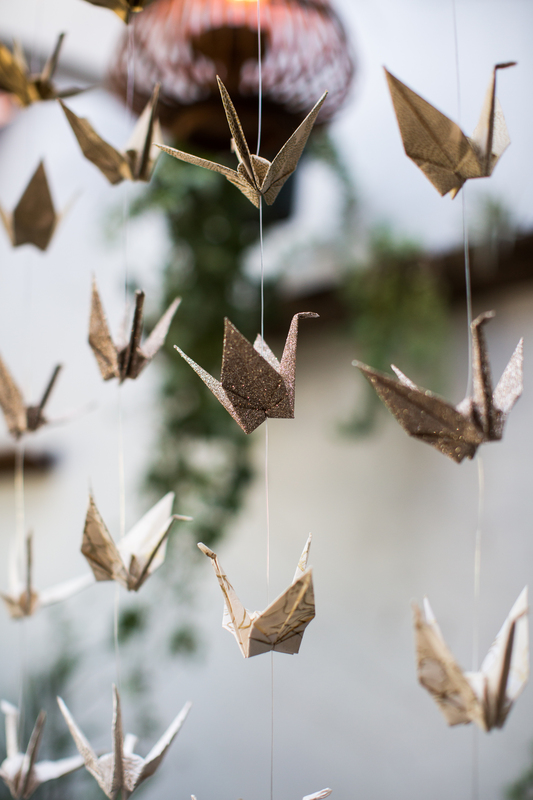 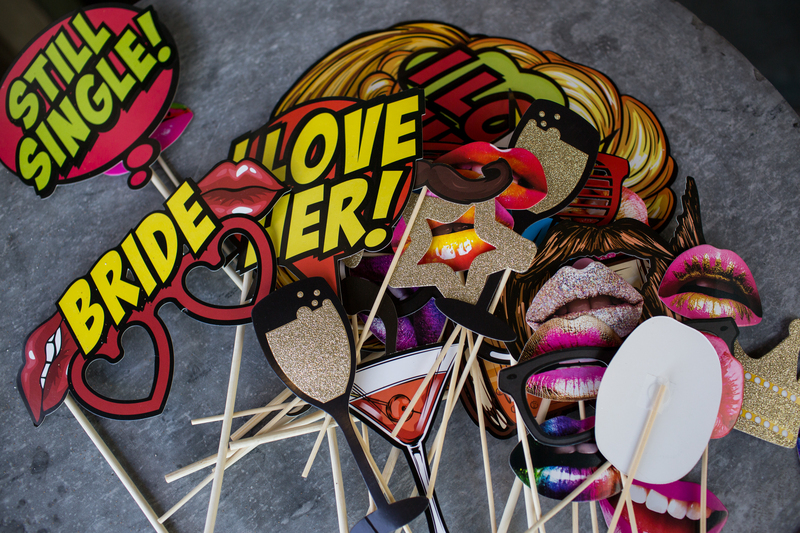 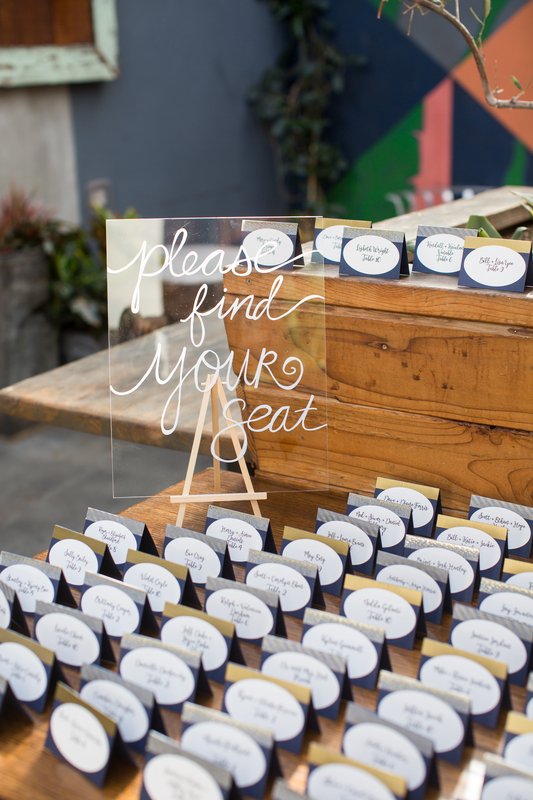 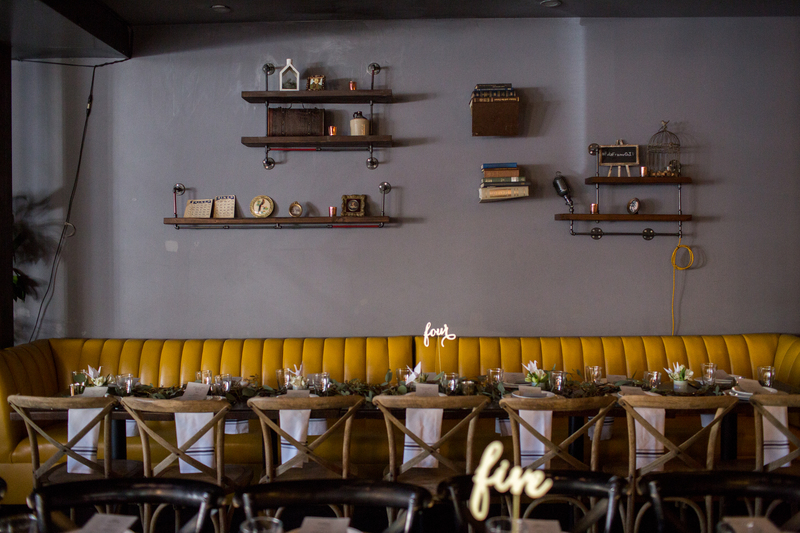 Gold accents, including glittering paper cranes, decorated the entire venue.